Demain’s Volunteers is the latest initiative supported by the Festival Mondial du Cirque de Demain with the aim of bringing the circus community closer together. 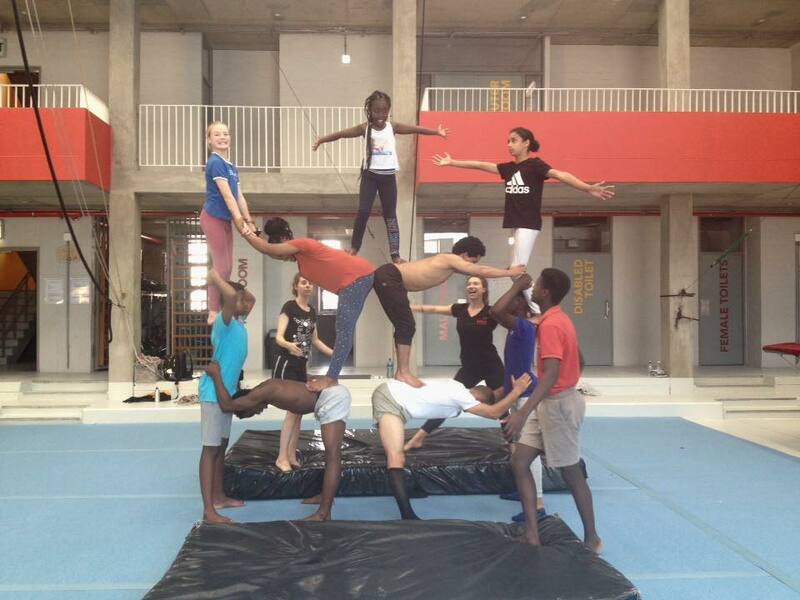 The first edition at the Zip Zap Circus School in Cape Town South Africa with volunteers the Wise Fools just ended. You can see just what they got up to in their month-long placement in their visual diary halfway down this page. But before we get to that, what exactly is this new project about and how did it all begin? January 2017, during the cold Parisian winter, the Club PRO dome at the Festival Mondial du Cirque de Demain became a place of warmth and sharing. Representatives from different circus organisations – companies, schools and social circuses – came together to present and listen to talks about their work. 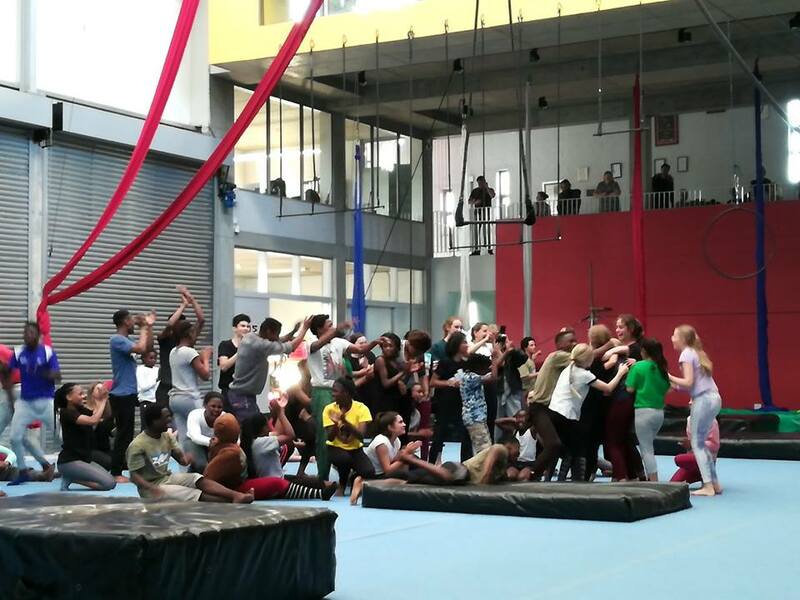 After hearing the touching, passionate stories of those working in social circus around the world, the organisers of the Festival wanted to contribute in their own way to the development of exchanges and partnerships between artists and social circus structures. Listening to these talks, it became apparent that the worlds of social and professional circus exist in the same universe but in separate solar systems! Social circus schools are often in desperate need of skilled artists to volunteer as trainers and help guide their students. In turn, many circus artists would welcome the opportunity to volunteer their time to help these worthwhile organisations but are unsure about how to teach their skills or are unable finance the trip themselves. Holding a privileged position in the circus industry, with valuable connections to many of the biggest circus companies and schools, and a vast community of former artists, the Festival Mondial du Cirque de Demain seemed to be in the perfect position to orchestrate meetings between these two related yet segregated circus communities. Working in collaboration with several circus organisations including Cirque du Monde, Caravan European Youth and Social Circus Network and the Viktor Kee Foundation amongst others, the Demain’s project started to take shape. 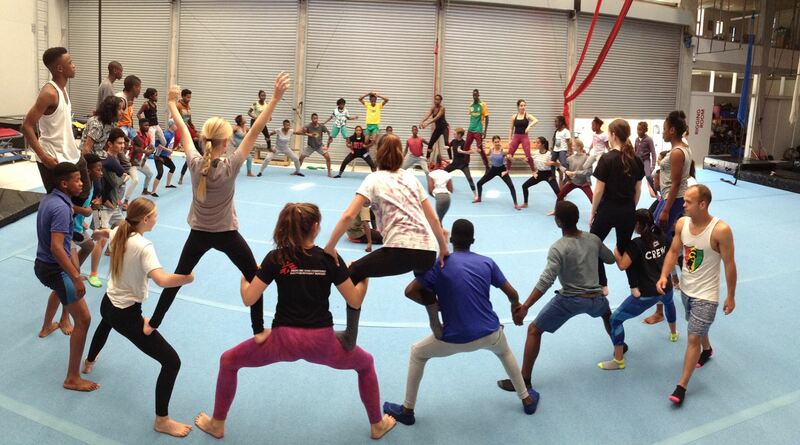 The aim of Demain’s Volunteers is simple: Take high level circus artists, train them in how to teach their skills and send them abroad to volunteer in social circus schools, to work with young people and aspiring circus artists around the world. For more than 40 years, the Festival Mondial du Cirque de Demain has been welcoming some of the best circus talents in the world onto its stage and as such it now has a vast network of former artists (40 years of Festival x an average of 23 acts per year = a network of over 3000 fantastic circus artists). For the Demain’s Volunteers project, the Festival planned to recruit artists from this network to become volunteers in social circus schools. 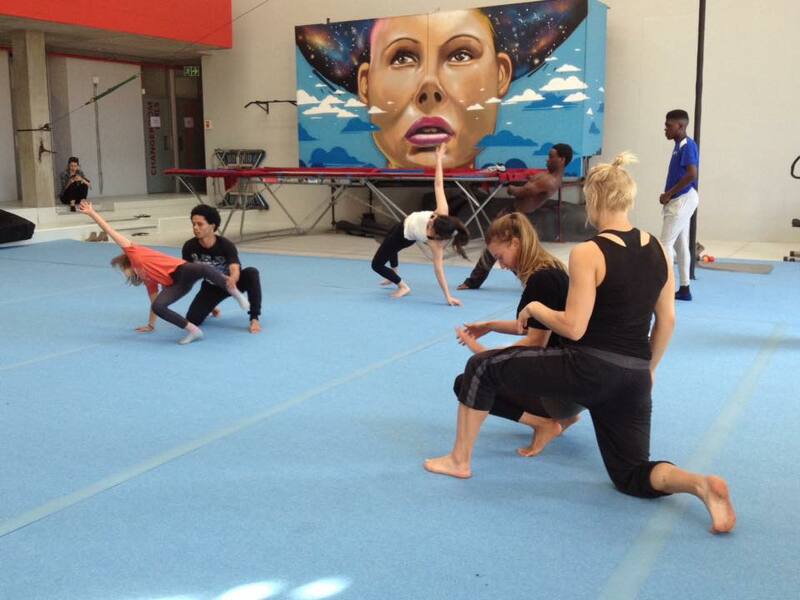 Partnering with the École national de cirque (ENC) in Montreal enabled the Demain’s Volunteers project to tap into the wealth of knowledge about social circus and teaching practices accumulated there. The ENC provided a special e-learning programme, created specifically for Demain’s Volunteers, made from a selection of the most relevant modules from their more extensive Social Circus course. The e-learning course is completed by the artists, with support from an ENC teacher, before they leave for their voluntary placement. This allows them to learn about how to teach their circus skills within a social circus context and to better understand the environment that they are about to be immersed into. The artists then head off to their host organisation, one of the partnering social circus schools, who welcome them for a period of 1 – 3 months. Once there, the artists participate in the running of the school by teaching classes and helping with their social outreach programmes. Their travel costs are covered by funds raised in crowdfunding campaigns run during the Festival Mondial du Cirque de Demain. 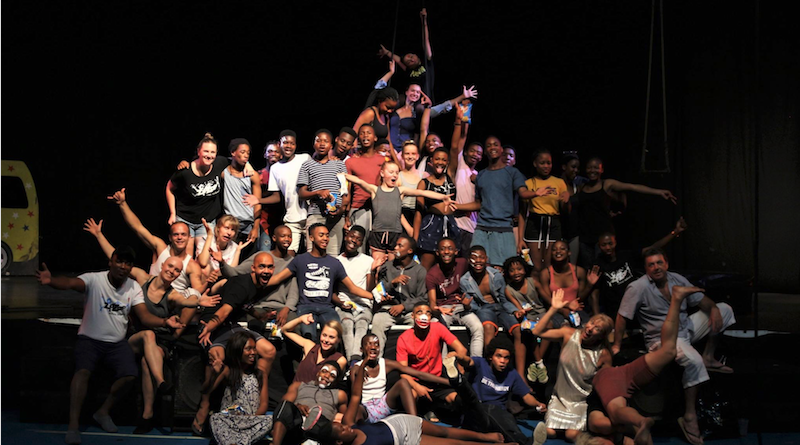 Laurence Estève, one of the founders of Zip Zap Circus School in South Africa, was among the speakers who presented their work at the 38th Festival and inspired the start of Demain’s Volunteers. It seems fitting therefore that her school became the first host organisation to welcome volunteers for the first edition of the project. 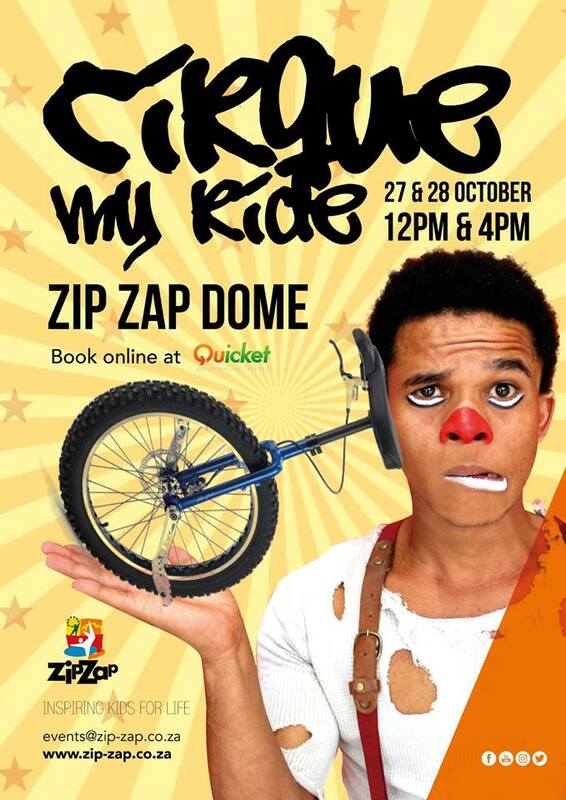 Zip Zap Circus School is a social circus that was founded in Cape Town in 1992, by husband-and-wife team Laurence Estève and Brent van Rensburg, to inspire young people and help build a new culture of peaceful coexistence in South Africa. They work with a diverse community of children from all backgrounds. Their aim? Help children ‘dare to dream’ and learn to make those dreams a reality. Zip Zap runs numerous youth and social outreach programmes. As the host organisation for the Demain’s Volunteers project, they put together a schedule allowing the volunteer artists to experience a full range of the work that Zip Zap does in Cape Town. The artists worked with students from the youth programs, including ‘The Hood’ which introduces circus to children in the neighbourhood and ‘Dare to Dream’ which provides employment skills by training young people in circus and production skills in the aim to alleviate poverty and reduce unemployment in South Africa. The volunteer artists also had the opportunity to experience the social outreach side of Zip Zap’s actions, working on the ‘Jumpstreet’ project run in partnership with the SOS Children’s Village in Cape Town, which works to use circus as a medium for social development and well-being for children from unstable domestic situations. 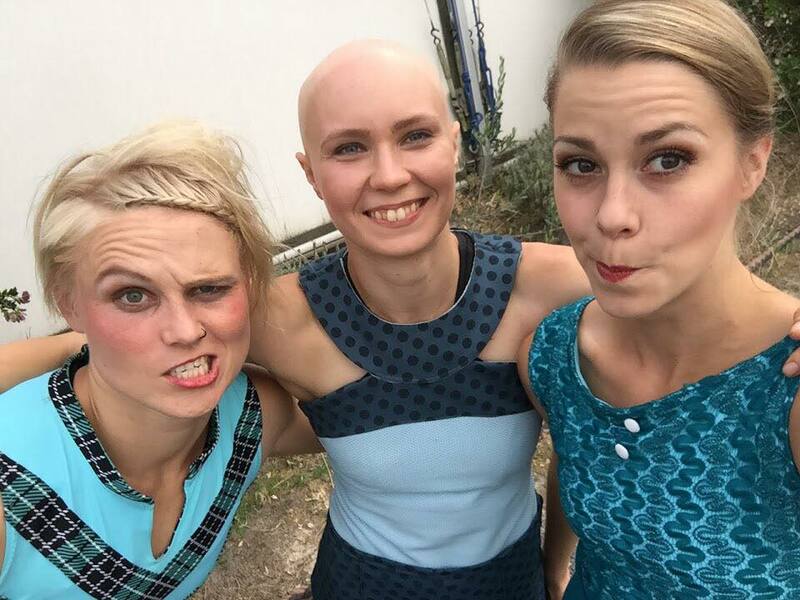 TheWise Fools trio participated in the 36th Festival Mondial du Cirque de Demain with their triples trapeze act and went away with a silver medal. When they heard about the Demain’s Volunteers project Jaimee, Valpuri and Maria leapt at the chance to be a part of it. “As circus artists we get to play every day. We swing on trapezes, jump on trampolines, improvise and dance. And we are lucky enough to get paid for doing all of that. We can’t feel but gratitude for having a chance to do this as our profession. Sometimes we ask ourselves, how is this fun useful for other people? Are we fulfilling our duty as citizens? 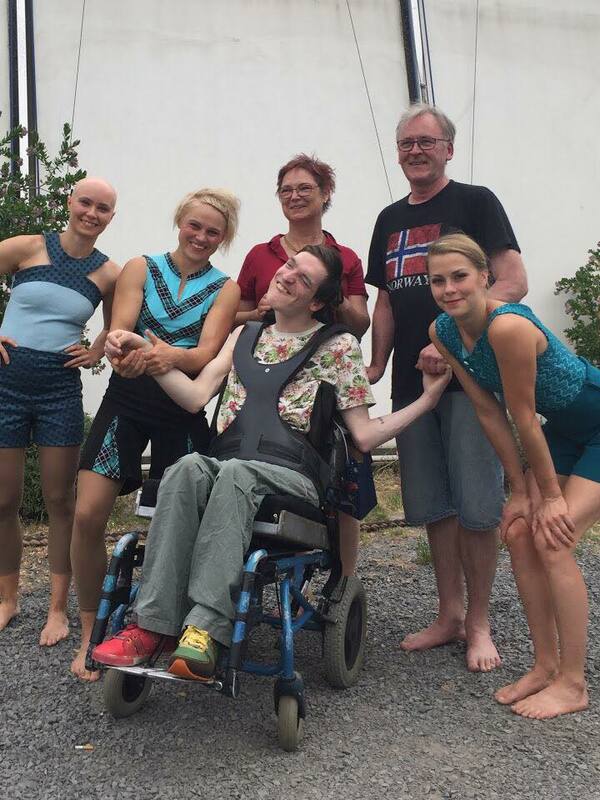 Amidst the gratitude of being able to do circus, arises also a will to give something back. That is our main motivation to volunteer in a social circus project. Circus has brought us so much joy that it would be great to get to share that with other people,” said The Wise Fools. One of the Wise Fools trio, Jaimee Allen, has a special connection to the Zip Zap Circus School. She joined Zip Zap in 2002 before moving to Belgium to complete her studies and eventually joining the Wise Fools. 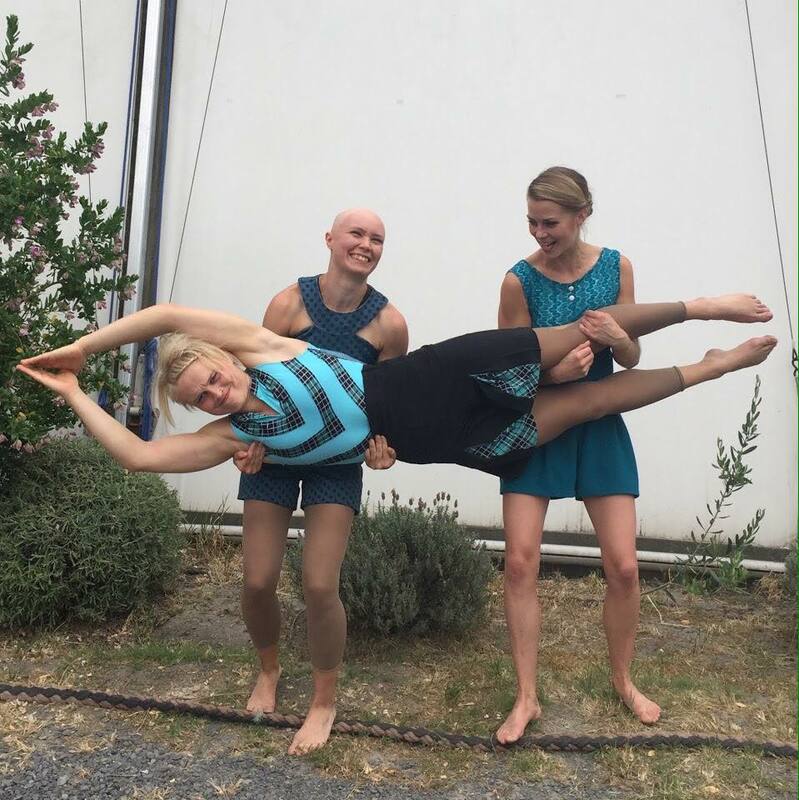 Being a part of the first edition of Demain’s Volunteers allowed her to share her circus roots with her performance partners. Zip Zap was very happy to welcome the Wise Fools trio to the school as they were keen to present strong female role models for their students, the ratio being heavily weighted towards the boys, and to inspire their students by showing them that it is possible to lead a professional life as a circus artist. The school doesn’t teach much aerial so having the Wise Fools there also provided the students with a great opportunity to discover aerial disciplines. We have landed in Cape Town! Honoured and thrilled to be the first participants of Demain’s Volunteers, thanks for this opportunity go to Club PRO – Festival Mondial du Cirque de Demain and Zip Zap Circus School. An exciting month ahead! 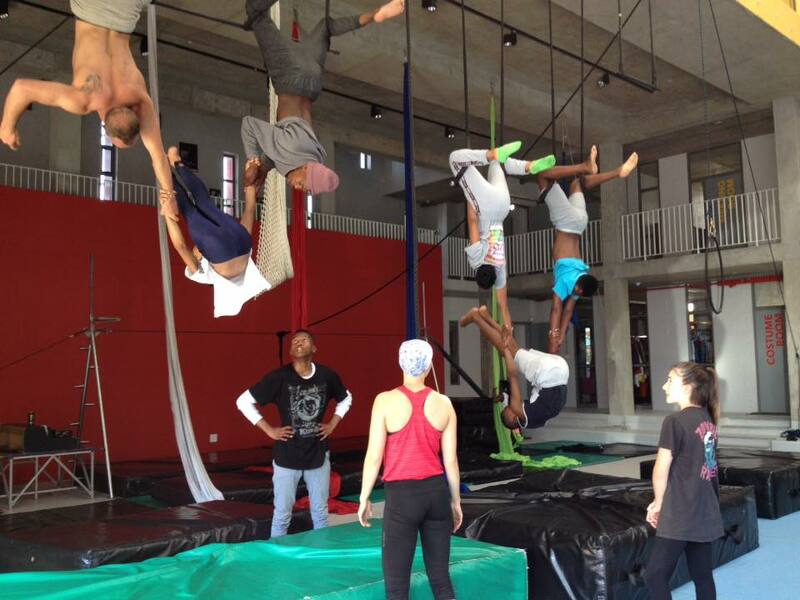 And the training has started, fun classes with Simunye students at Zip Zap Circus School. The motivation is real! 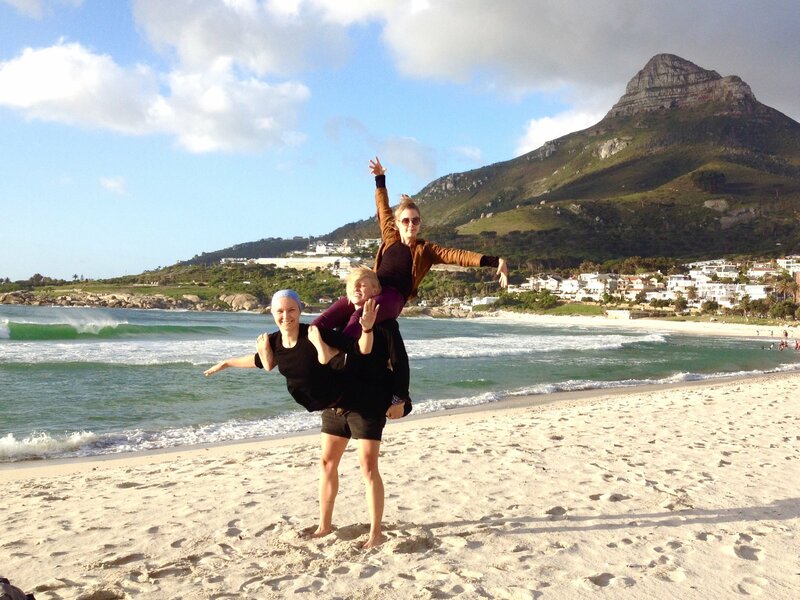 What an amazing first week in Cape Town! Thank you Zip Zap Circus School for the warm welcome. The Zip Zap Dare to Dreamers practising their Gumboot dance for tomorrow’s road show! Gumboot is a traditional South-African dance that originated in mines where the miners used it as a way to communicate when they were forbidden to talk. Many of the steps and routines are parodies of the officers and guards who controlled the mines and barracks of South African gold miners. Today Zip Zap’s school show tour took us to the city of Hermanus, these guys were rocking it! 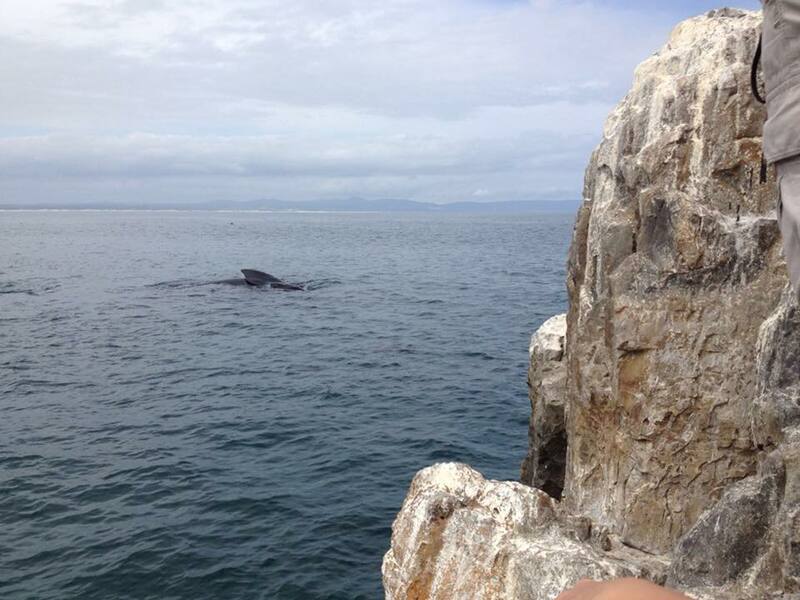 Oh, and we also saw some whales! The Jumpstreet students were full of energy today! 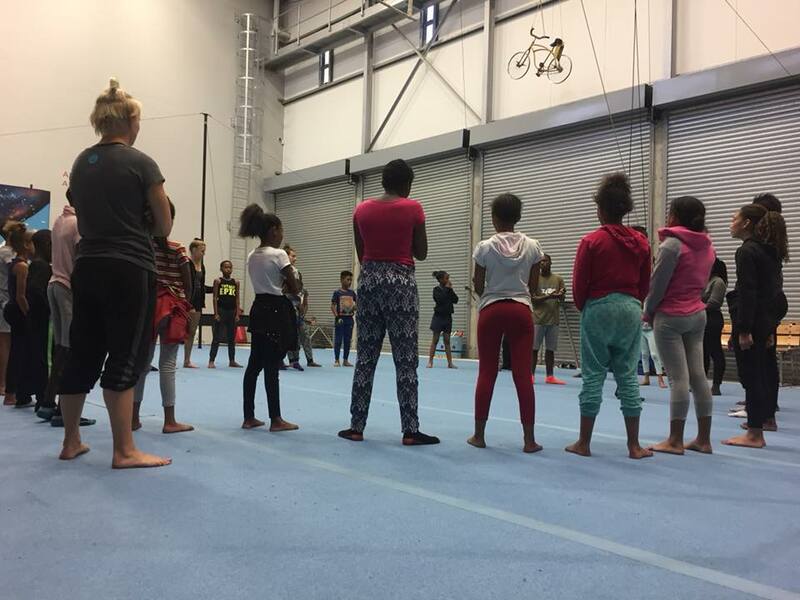 Since 2015, Zip Zap has partnered with the SOS Children’s Village in Cape Town to provide circus workshops to promote the well being in children and youth from unstable situations. We are currently preparing circus speciality numbers with them! 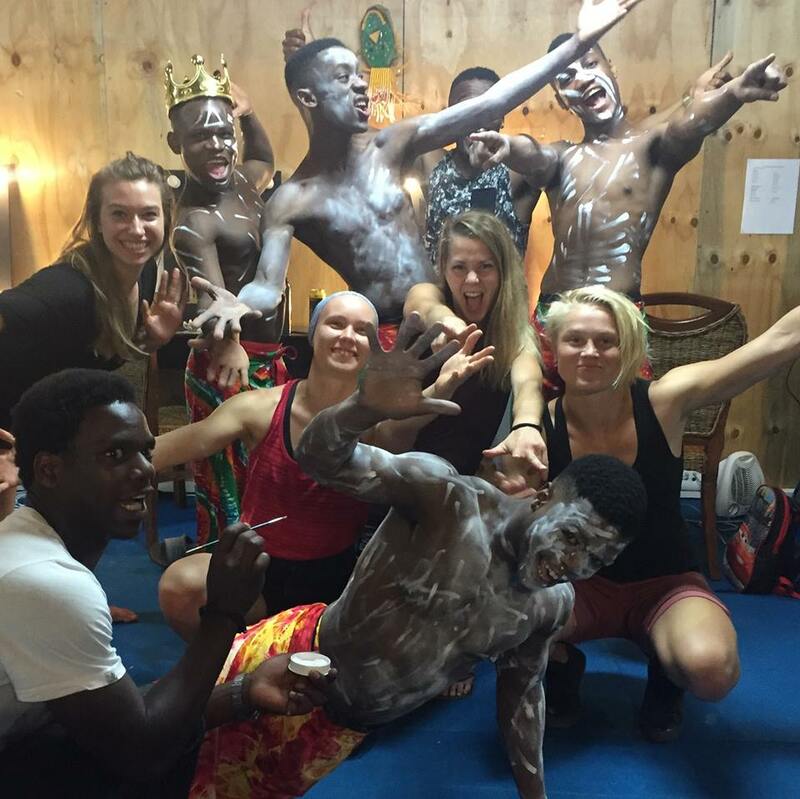 Today the advanced Simunye students had a show and tell of the acts that they have been working on. In all Zip Zap shows they do the Zip Zap dance and Jaimee Allen still got the moves! Can’t wait to learn it for the Cirque My Ride show where we perform our triple trapeze act at the end of the month! 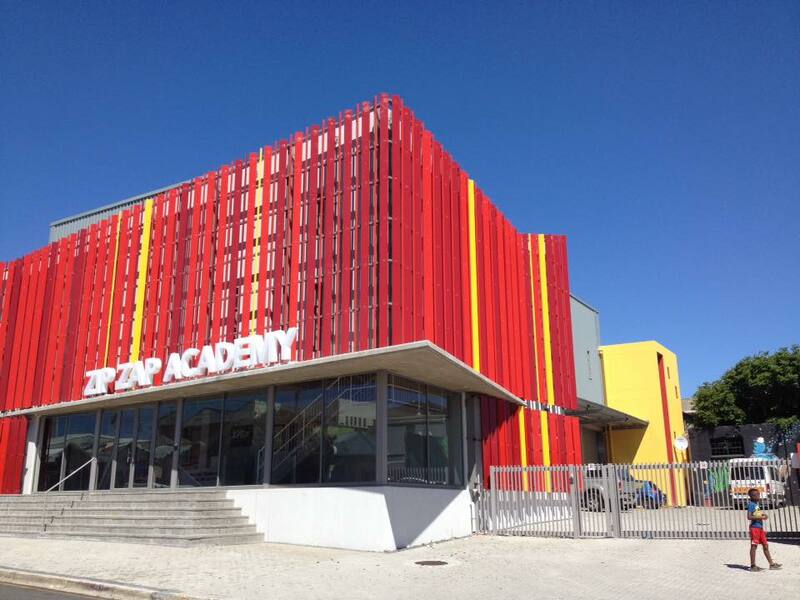 We live in the residence of Zip Zap Academy which is the home to the foreign interns who come to work atZip Zap Circus School and the Dare to Dream programme students. 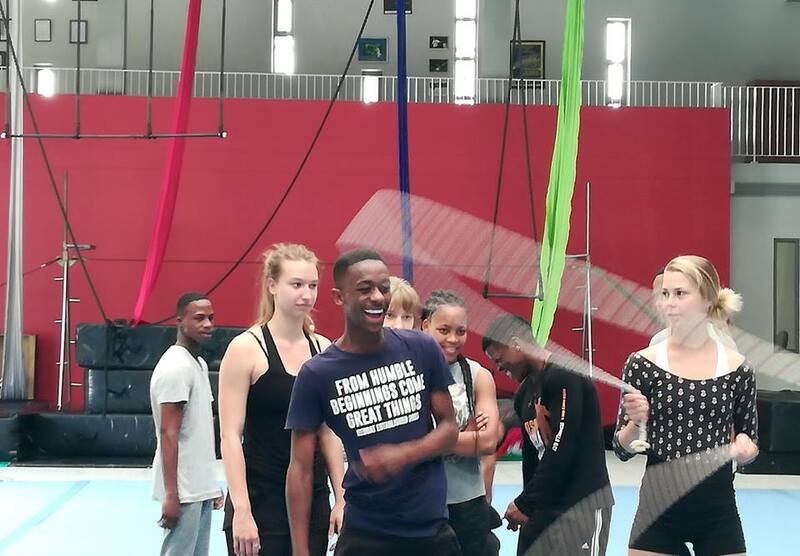 Dare to Dream is a professional training programme that aims at the students being able to work on the field of circus as teachers and performers, for example in Zip Zap. The aim of the programme is to aid in the alleviation of poverty and the reduction of unemployment in South Africa. 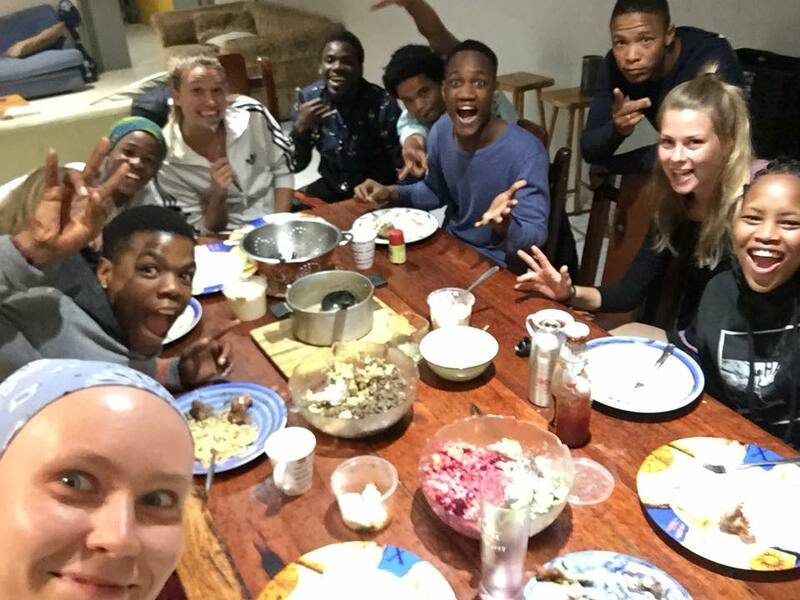 Every evening we share a dinner together which is a nice way to get to know each other and keep up the team spirit! 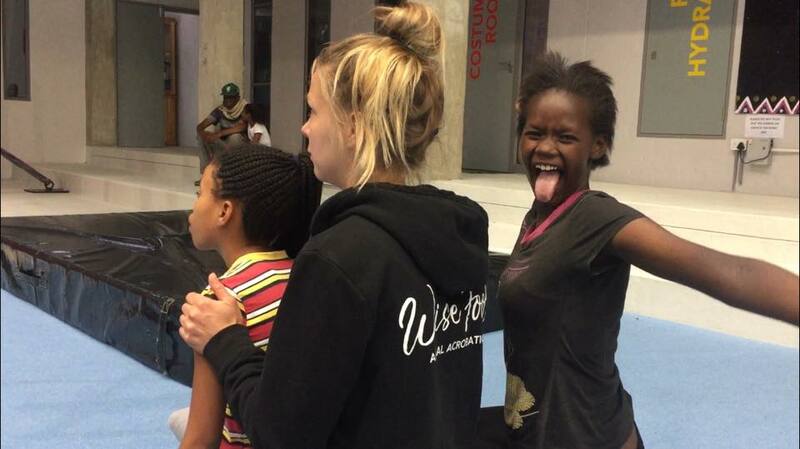 Bits and pieces of South-African style in movement improv class for the advanced Dare to Dream students. During our time here we have been trying to give forwards some exercises that we learnt when we went to circus schools and it’s been pretty fun! 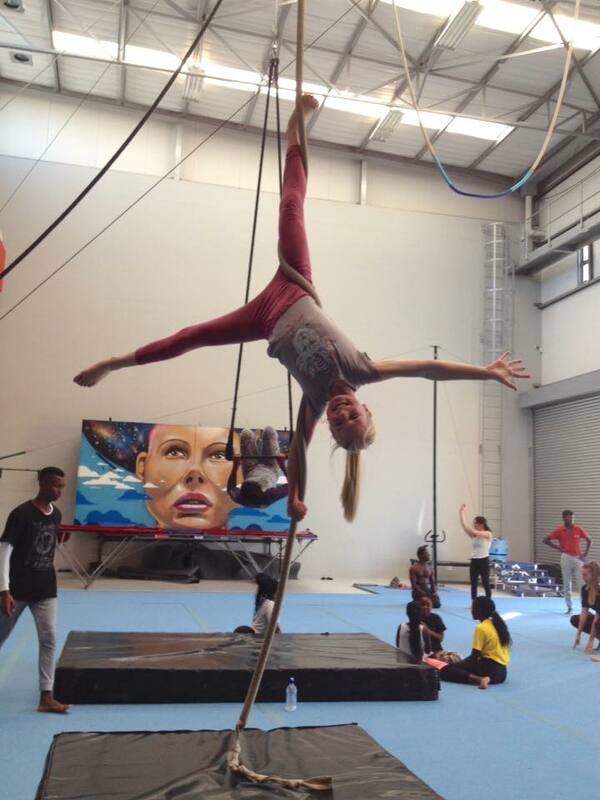 Between the classes atZip Zap Circus School we have had time for some great training sessions too. We are halfway through our stay here, time flies in Cape Town! Some of last night’s action with Jumpstreet programme. Jumpstreet is a programme in collaboration with SOS children’s village. The participants are kids from unstable domestic and community situations. More photos from our work with the Programme and Social Outreach students. Yesterday Valpuri was introducing the art of trapeze to the Hood Outreach kids. In the background Jaimee is having fun with her students on the minitrampolin. Tomorrow morning we’ll have the honour to sit on the panel as judges as the Dare to Dream students will be presenting their Artistic Evaluation through a showcase. Today the advanced Dare to Dream students we taught present their end of the year acts. Exciting times! Some Dare to Dream action from their end of the year presentation on Friday! The theme of their group show was African heritage. Laurence Esteve and Brent Van Rensburg have worked hard to create this organization to “inspire kids for life” in South Africa. It was an honor to be part of the project and to meet all the beautiful people behind it. We will miss you and can’t wait to meet you all again in the future! Demain’s Volunteers is a beautiful initiative made possible byFestival Mondial du Cirque de Demain – Paris andClub PRO – Festival Mondial du Cirque de Demain. 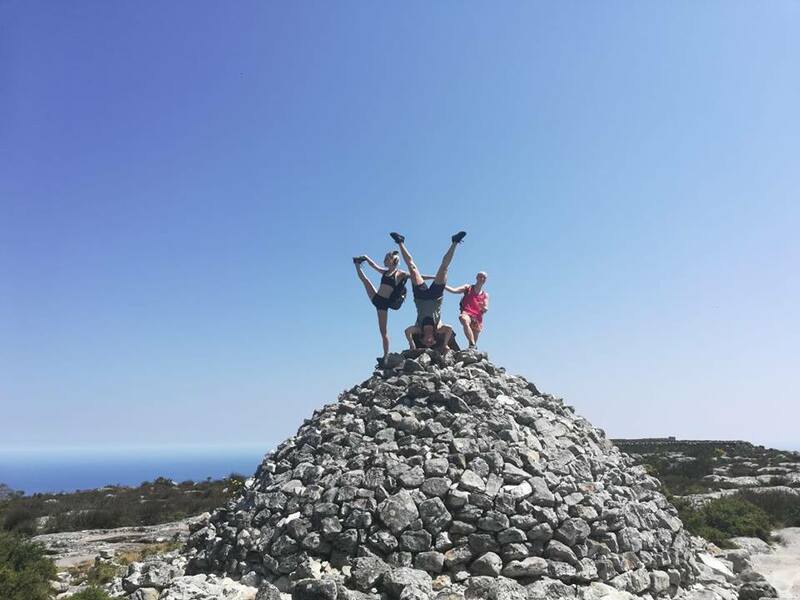 We highly recommend this opportunity to any prizewinner of the festival who wishes to experience something unprecedented and find new perspectives on the art of circus. Absolutely one of the brightest highlights of our year! The realisation of this first edition of Demain’s Volunteers was possible thanks to the energy and time dedicated by the founding partners and the generous donations made in the crowdfunding campaign which came predominantly from members of the Festival Mondial du Cirque de Demain’s audience. The organisers say they hope to keep this project running for many years to come, sending more artists to discover new experiences and a different side of circus in many more partner social circus projects around the world. For ways to support the project or if you are interested in participating as a volunteer artist, follow Cirque de Demain on CircusTalk and visit the Demain’s Volunteers facebook page for updates!